As you may know earlier this year, Raging Swan Press published the Gloamhold Campaign Guide. The book has been well received, but there is something missing. Although John Bennett has done a heroic job designing and describing two of the three towns—Dulwich and Dunstone—that lie close to Gloamhold’s benighted precincts the nearest town—actually a small city—have thus far eluded design. 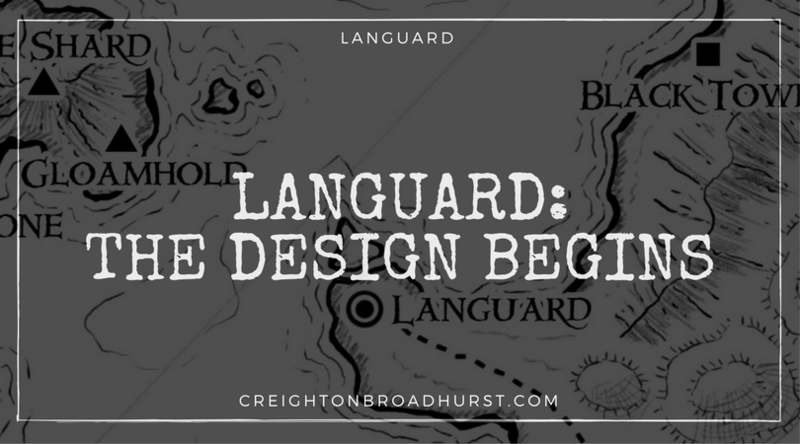 Well, the good news is I’ve finally started Languard’s meaningful design. (And my meaningful design I mean starting to generate the city’s details, not merely thinking about it). Of course, one of the first things to do is to sketch out a map of the city. Normally, this is my most hated part of the design process; my mapping skills are terrible. However, a month ago or so I discovered Linea—a drawing app for the iPad that has made even my maps look almost alright. I can give it to the cartographer (Tommi Salama) when it comes time to create the final print-ready map. It helps me visualise the city, which helps me bring it to life on the page. No doubt as the city’s design continues, I’ll add to it. As and when I have significant additions, I’ll post them up here. One of the other things I like to do when designing a city is generate the details of significant (to PCs) services and NPCs. While I could plonk down on the map pretty much anything I want, I want the city to make sense. It must have verisimilitude. I don’t need to generate the number of butchers, cobblers or other mundane services, but I think it’s a good idea to know how many sages, alchemists, weapon smiths and so on are available (for example). The PCs are bound to access some of these services during their time in the city and knowing how many there are allows me to design individuals for the PCs to meet (and perhaps employ). I also like my cities to be as realistic as possible. So, I turned to one of the stalwarts of my gaming book collection to help generate the numbers: TSR’s World Builder’s Guidebook. These figures are just a starting point. If I decide the city needs more than one alchemist, I can add more. The numbers above represent the number of that particular service available to the PCs. For example, there are more than four wizards in the city—obviously—but only four are available for general spellcasting, magic item creation and so on. Similarly, there are more the 11 clerics in the city, but most are engaged in tending their flocks, leading church services and so on and so have no time for pesky adventurers. And finally, in my quest to create a realistic city environment I’ve turned to The Time Traveller’s Guide to Medieval England. If you haven’t read this book yet and you are a GM who enjoys world building, I highly recommend snagging a copy. It’s available both digitally and physically and is an excellent investment. Next up on my design plate is thorny topic of demographics. Languard has a population of almost 8,000. The vast majority of these folk will be normal, average commoners. Perhaps only 5%-10% of the population will have actual class levels, but what levels are they? Given I’m designing Gloamhold and its environs as a relatively low-magic, old-school setting it wouldn’t make sense to have loads of high-level NPCs running around. (Particularly, as I favour the slow advancement track for my Pathfinder game). Does Languard have an organized Thieves’ Guild/Criminal Syndicate? Or is the crime scene more divided? The most successful and feared thieves’ guild is the Shadow Masks. Their main base is Languard so they’ll be further detailed in the book. Just one suggestion. All cities grow in phases. Expand, contract, expand, contract, etc. Population growth can be ended by war, famine, economic depression, etc. I would sketch a number of ‘phases’ from the founding of the settlement to the current date. Irilian, the city from white dwarf 42-47 had phases like this and was the best fantasy city I saw detailed. 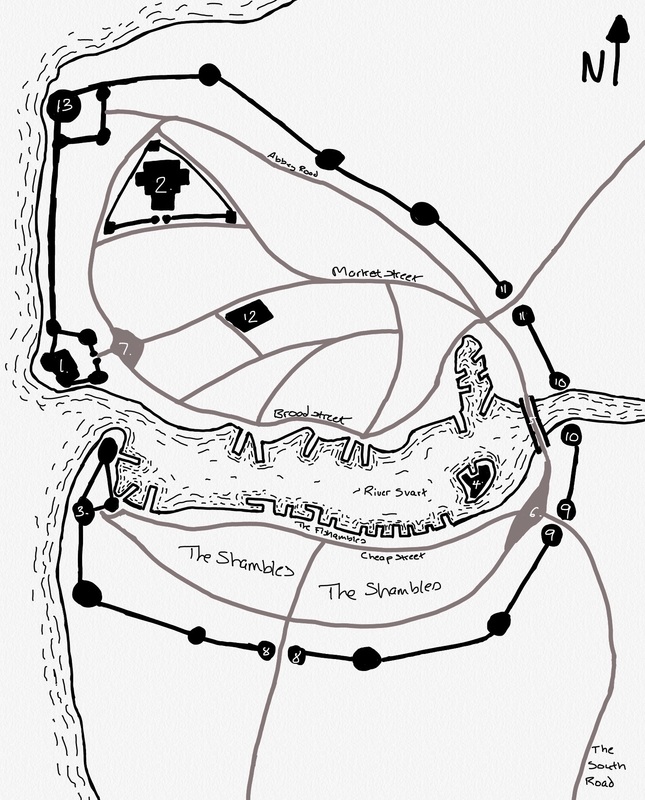 Date 1: Small settlement on coast is fortified by local lord in order to house forces to deter pirates. Site much older and near area of spiritual significance, e.g. standing stones or tombs. Date 2: Famous priest settles in the small town to conduct research into local history. When he dies he is made a ‘Saint’ or some equivalent, pilgrims begin to visit, temple district and trade flourishes. Population becomes more cosmopolitan, names of some new streets very different in sound. Date 3: Town sacked by pirates, fort destroyed then rebuilt. Excellent civic and military leadership establishes a tradition of the town militia being well equipped and trained. Population recovers. Date 4: Gold discovered to the north with town being a popular stop on the way. Economy boosted and artisans come to the area. Guilds become influential and naval forces are strengthened. Population again becomes more diverse. Foreign ‘quarters’ established’, shanty town outside of the walls grows. Date 5: Fire sweeps through the temple district, religious and civic unrest follows. Some religious groups purged from the city boundaries. In response to unrest a coup and counter-coup overthrows the civic council. Date 6: Ruling family defeated in bloody revolt. Religious, guild and civic council re-established under mayoral figure who has a deciding vote. A period of intrigue leads to city having a reputation for corruption and skulduggery. Despite this it is also a period of relative prosperity as trade flourishes. Date 7: The present. The players arrive at a town of guilds, temples, civic institutions, there are shrines and shanty towns where ‘certain’ banned religions flourish, the military and town guard have a history and tradition, there are political factions and a number of social tensions. Just add pcs! This is a great point. Thank you for posting it up. I haven’t given a lot of thought to the region’s recent history. Obviously, given Gloamhold’s setup I’ve thought a lot about the “deep history” but nothing about how events could have shaped Languard’s development. I’ll get right on it! One of my favorite town maps was Threshold from the Basic set, Karameikos boxed set. This is because it had an Island, basic defensible structure, then a small walled town then another, larger wall about it. It made sense. Absolutely.When I do phase two of the map–showing smaller streets and bunches of houses they’ll be houses along both the roads to the south–it makes sense as you say to have a more organic look to the city. 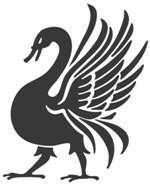 I have looked through the site and my products, but aside from a handful in the Lonely Coast, I cannot find a Raging Swan pantheon document with 3.5 / Pf domains. (The Gloamhold Campaign Guide has a good list of deities with favored weapons and areas of interest, but it’s system-neutral.) Does a complete list of deities in your setting exist in that much system-specific detail? I don’t have such a book available yet. When I get around to the Ashlar Gas (the book after Languard) I will be including such information, though! Thanks for the tip for The Time Traveller’s Guide to Medieval England! I’ll order a copy immediately =). I just purchased The Time Traveller’s Guide to Medieval England and read through the first chapter. Book’s a veritable goldmine of ideas – thanks for the advice! Glad you liked it, Bart. You are right, it’s a treasure trove of awesome detail! I’d like to see a “burned area” some mysterious areas of devastation, something like the one used in Greyhawk, not sure what module, a bit of curiosity really. Also makes, droping in the old adventure easier.